How many voices does it take to tell a story? Simply put, many. When John Adams went about composing his opera The Gospel According to the Other Mary the idea of a plurality of voices (both literal and metaphorical) was undoubtedly on his mind. Get to know the San Francisco Symphony Chorus and hear as many voices join together to tell the “Other Mary’s” deeply moving story. Feb 16–18 featuring Michael Tilson Thomas, the San Francisco Symphony and Chorus, along with world-class vocal soloists. The work itself follows the lives of Mary Magdalene, her sister Martha, and their brother, Lazarus. Although it may be a familiar topic, Adams and librettist Peter Sellars use poetry, prose, and biblical verse to take a fresh look at a very old story. By presenting the tales and voices of those often forgotten or marginalized, Adams’ work celebrates the beauty brought about by a plurality of voices. This eclectic approach brings together the words and ideas of a diverse group of writers and philosophers. 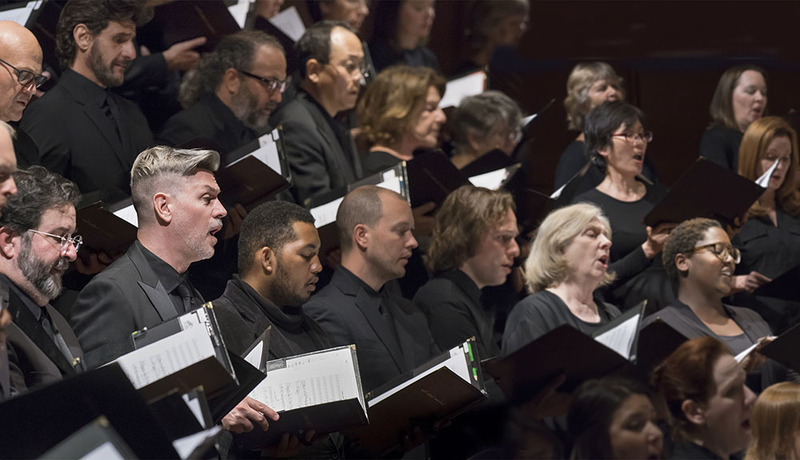 From the writings of social activist Dorothy Day to the poetry of holocaust survivor Primo Levi, The Gospel According to the Other Mary is poignantly and bravely “other.” Hear it at the San Francisco Symphony and join Adams before each concert for a discussion of this immense work.